The Kadashah Sultanate was the most powerful of The Kashebi Sultanates prior to the Eramii conquest of the region. Under Eramii rule, Kashebi lands were divided into 3 Praefectures, but the Kadashah capital of Borsipa served as the defacto administrative of the eastern empire. After the imperial garrison withdrew, and the Kadashah Sultanate was quickly reformed. 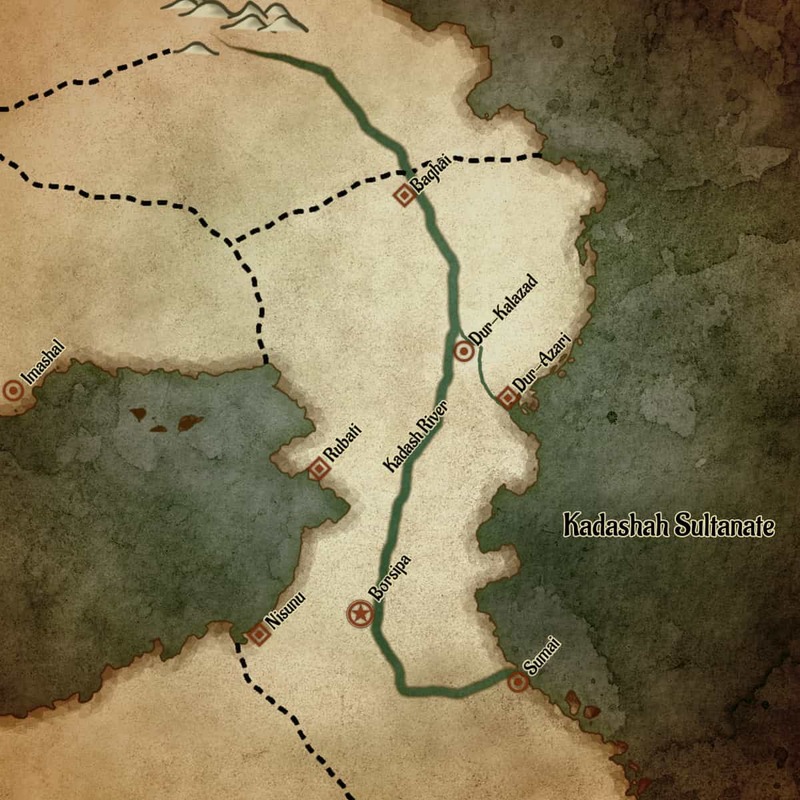 Recent History: After the imperial legions garrisoned in Kashebi lands were withdrawn as reinforcements for the Eramii civil war, the nobles of Borsipa wasted no time launching into a short, but brutal shadow war for the right to reform the Kadashah sultante. Unified rule suited the Kashebi people well, and while all the major power made a play for the throne, none made any serious efforts to splinter their lands from the whole. In any case, the the shadow war lasted but a few short months. A violent spate of assassinations, covert assault on manor houses, and betrayals saw the current Sultan, Salar Qasemi, emerge as the undisputed ruler of the Kadashah Sultane. Sultan Qasemi I quickly unified the Kashebi territories and instilled loyal allies to govern as Satraps in each of the Kashebi cities, in the model of an Eramii Prefect. The quick consolidation of power, without a full scale war, allowed the Kashebi exit the turmoil of the Eramii succession war quickly and painlessly, and under the careful and measured rule of Sultan Qasemi I, the Kadashah Sultanate is in the midst of a golden age of innovation, commerce, and scholarship.